The cornucopia that is the annual HIMSS conference and tradeshow – healthcare technology’s biggest event – is behind us, but what’s left in the wake is wonderful, inspiring even, if not a bit overwhelming. The reactions to this year’s event have been overwhelmingly positive. Interoperability in the form of data sharing and a ban on patient health information blocking by CMS (through proposed rules released the first day of HIMSS) set the tone. This was followed by CMS administrator Seema Verma taking a strong tone in all of her presentations at HIMSS, with the media and during her keynote speech. The federal body made it clear that data generated from patient care is, unequivocally, their data. While these themes heavily influenced the show, there were other takeaways. There are many other diverse opinions about what came out at HIMSS19 and the themes that will affect healthcare in the year ahead. For some additional perspective, I turned to healthcare’s thought leaders; people who are a lot smarter than I. Their responses follow. That said, did we miss anything in the following? After spending a week surrounded by some of the most intellectual and innovative minds globally in healthcare at HIMSS19, I’m even more confident that the shift toward patient engagement mass adoption is well underway and ON FHIR. The new CMS/ONC proposed law around interoperability and penalties for “information blocking,” are both touchdowns for the quarterback, which remains to be patient engagement. The robust discussions during the pre-conference HIMSS patient engagement program, reflected a move to a consumer-centric approach evidenced by the presence of Amazon, Google and Microsoft at the show. The keynote by Premier’s CEO Susan Devore shared a consumer-centered, provider led vision, “with data flowing seamlessly and being analyzed and effectively leveraged to guide decision making at the point of care.” Collaboration in healthcare is the key to everyone’s success. I was inspired to see her and so many women coming together to support each other in HIT, as Dr. Mom remains the healthcare decision maker in the households, we are all ultimately trying to reach. Physician burnout continues to be a hot topic coming out of HIMSS19 and many feel that EHR platforms may be a part of the burnout epidemic. There were several sessions that focused on user-centered design at HIMSS this year including one that focused on the iterative approach to software development and user experience. First, I think that the industry is recognizing that one-size-fits doesn’t work for EHRs. Additionally, I believe that improvements will come in large part from the greater involvement of practicing physicians in designing specialty-specific EHR workflows and interfaces. A combination of powerful technology like AI and augmented intelligence, as well as well-designed EHR solutions with an intuitive user interface and user experience, will help ease the physician burden and automate time-consuming and administrative tasks like coding and billing – ultimately reducing burnout. 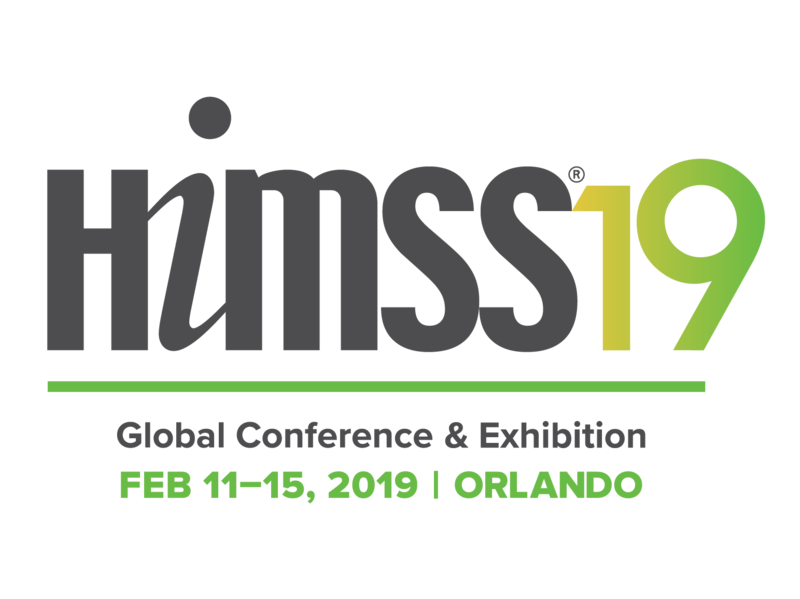 HIMSS 2019 showcased the ongoing digital transformation to make healthcare responsive to patients across a continuum of care. Enabling patients to be able to access, use and own their personal health data, while ensuring privacy and security was the central takeaway of this year’s HIMSS. Notable, critical moves to support this goal included: the Department of Health and Human Services announced proposed rules to enhance interoperability and data access with payor data; ongoing security and privacy efforts to ensure appropriate patient access to their data while mitigating emerging risks from items including medical devices to nation-state attackers; and artificial intelligence and machine learning initiatives to effectively manage the tsunami of data in healthcare while promoting optimal healthcare. The best part of HIMSS this year was we seemed to get away from a single buzzword. Healthcare is hard, there’s no silver bullet. The Precision Medicine Summit got into the weeds about how to really roll out a program in a provider system. The AI companies stopped talking about AI for AI sake and were more focused on ROI. Everyone seemed more balanced about VBC: yes, inevitable, but also gradual. Consumerism was probably as close to a central theme as existed. And I continue to be excited about the energy, creativity, and commitment of the entrepreneurs in this market. Anytime you bring 43,000 healthcare professionals together in one location, you will never have a shortage of opinions on the future of the industry. We are at the cusp of a revolution in healthcare, driven by technological advancements. Some key trends we saw at HIMSS19 were, no surprise, around artificial intelligence, where people are trying to enhance predictive risk scoring and improve patient engagement. Additionally, there were profound announcements around mandating application programming interface (APIs) to improve the flow of healthcare data across the ecosystem. As interoperability becomes liquid, it will become the critical component of every healthcare system, driving the industry to new heights. 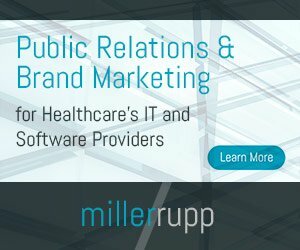 On day one of the conference, the HHS sucked the oxygen out of the room by dropping a proposed 800-page rule on data and interoperability. The rule aims to aggressively expand interoperability by making it mandatory for providers and health plans participating in government programs such as Medicare Advantage, CHIP and others to make patient data available to patients as a condition for business. CMS head Seema Verma and ONC Chief Don Rucker drove the message home repeatedly during the conference. Indeed, Seema Verma declared it an epic misunderstanding that patient data can belong to anyone other than the patient. A somewhat sobering counterpoint was voiced by Epic Systems CEO Judy Faulkner in a media interview where she suggested that interoperability challenges go well beyond data sharing by EHR vendors. Regardless of where it may fall, interoperability will continue to dominate healthcare IT agenda for some time to come. Related issues around new and emerging data sources, especially social determinants of health, will gain prominence in the coming months. The proposed rule on interoperability of health information influenced most conversations at HIMSS. In the context of cybersecurity, the rule served as a reminder that it’s just as important to let “good guys” in quickly and seamlessly as it is to prevent unauthorized access. We want to enable value-based care and give patients the ability to manage their own health by having access to their records. We also want to keep costs low and efficiency high by enabling interoperability and giving partners, vendors and employees necessary access to systems. Therefore, a cybersecurity strategy needs to strike a balance between user engagement and data security. The power of consumerism is really impacting healthcare and the need for patient engagement is alive and well. Providers across the board must look at new technologies and ways to redefine patient engagement to better communicate with patients and partners but do it via channels that are easy for staff and customers to use. New applications, such as telehealth and secure text messaging, have changed how healthcare communicates and consumers are demanding that immediate, convenient engagement. HIMSS19 seemed to have the most decision makers at the conference in five-plus years when a lot of healthcare organizations were still looking at implementing electronic health records. We might be ready for another wave of healthcare IT investment after healthcare organizations digested those investments made in electronic health records. The key is now around optimizing EHRs – interoperability, improving ease of use, enhancing analytics — or dedicating resources to enterprise resource planning (ERP) systems to make themselves more efficient in the back office. We’re also seeing healthcare organizations position themselves to be more consumer-oriented, partly to address new entries from some of the tech companies, such as Google, Amazon, Microsoft, and a multitude of others, that wanted to make a big splash at HIMSS.